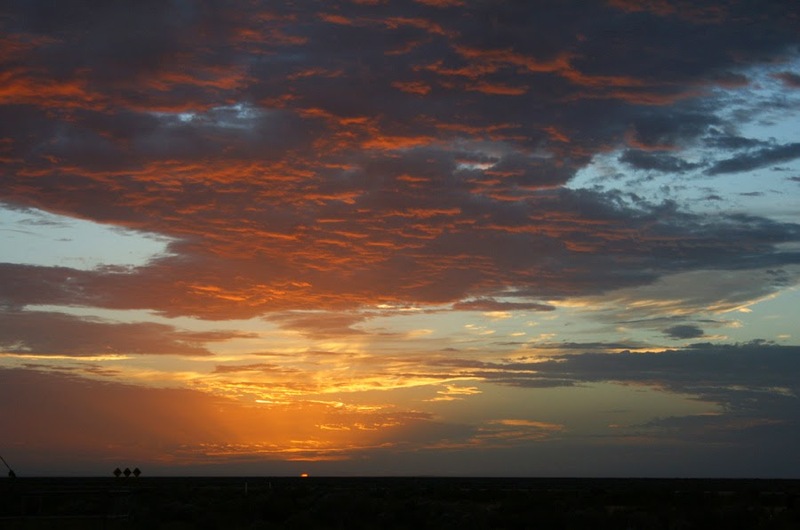 The Nullabor greeted us with a beautiful sunrise as we said goodbye. Well we survived the Nullabor and as we drove into the first town, Ceduna the outside temperature (according to the cars dashboard) was 46c (114F) yes you read right!! All I could think of was how hot we were going to be putting Myrtle (our camper) up!!. It's hard to see but it really does say 46c!!! 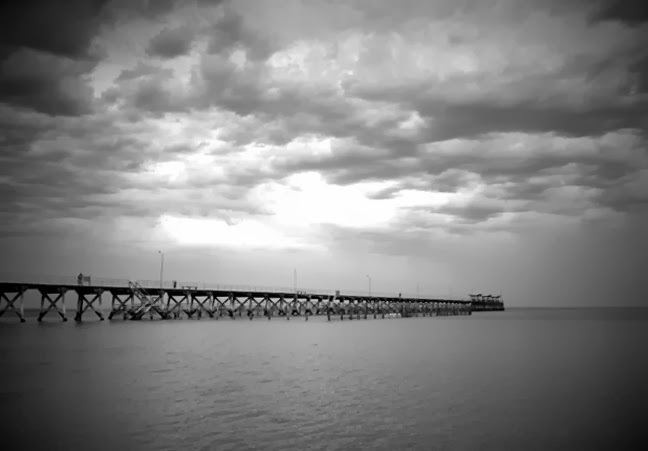 We drove on through Ceduna and finally arrived at our destination for the next few days which is Smokey Bay. Yeah the temperature had dropped to 44c !!!!!! We have booked a total of four nights here, we actually wanted more but they are booked out. Apparently all along this coastline it gets very busy at this time of year with all the people who like fishing coming here. Anyone who knows me know I just love oysters and I am very excited this peninsula is a popular oyster breeding area. So my first stop was at the local oyster sales. 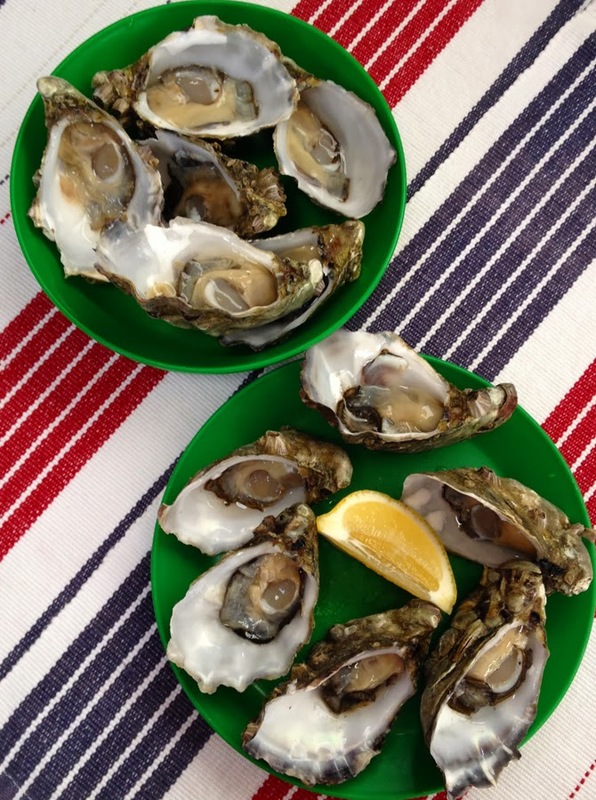 Now I love oysters but nothing beats a freshly opened one. I was in heaven. The last few days have been fairly warm, but certainly not as hot as the day we arrived. Yesterday was a hot windy one and we spent the day on the Smokey Bay wharf doing some crabbing. This is the first time I have tried to catch crabs! We had our nets ready, bait which was fish carcasses from the local fishermen and of we headed down the wharf for a new experience. We were told to check the nets every five minutes or so but I just wanted to keep pulling it up to check. They have to be a certain size and you cannot keep the girls as the all have eggs. It wasn't long before I pulled up my net and low and behold I have a pretty good sized crab in there. OK now how do we get this thing with big claws out of the net? Between the two of us we managed. By the end of our session we had 10 blue swimmer crabs for dinner. I was a bit concerned how I would know what the girls looked like but after getting a couple it was easy to distinguish them apart. The boys are bigger and a beautiful blue colour and the poor girls are brown and really not that attractive. 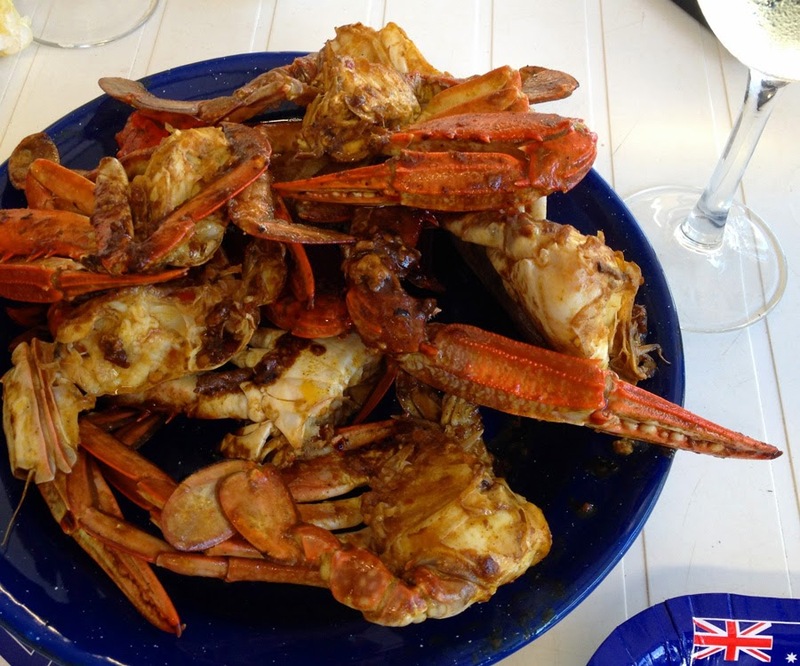 So dinner last night was chilli crabs and they were oh so yummy. Seeing I had never cooked crabs before I was pretty happy with how they tasted. Then just as we were finishing up the rain started and didn't stop all night. Quite a lot of areas in the caravan park got a bit flooded, it was a bit amusing watching all the older ladies wading through the puddles to get into the toilets. The rain has stopped now, but we are just going to have a lazy day at the camp as we are moving on tomorrow.